RANKED # 1 WITH 10 YEARS EXPERIENCE. 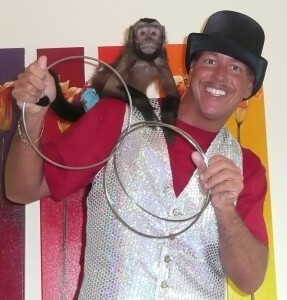 LIVE ANIMALS – BUNNY,PARROT,AND A REAL LIVE MONKEY – IS ALL PART OF THE SHOW ! !